Специальные тарифы для групп и мероприятий передач. Связаться сейчас! Efendi Travel provides private transfer services to/from both Ataturk Airport and Sabiha Gokcen Airport to any accommodation in Istanbul. Transfer services are also provided to/from cruise ports and airport to airport. Our transfer operations department is open 24/7 in order to serve you any time of the day. 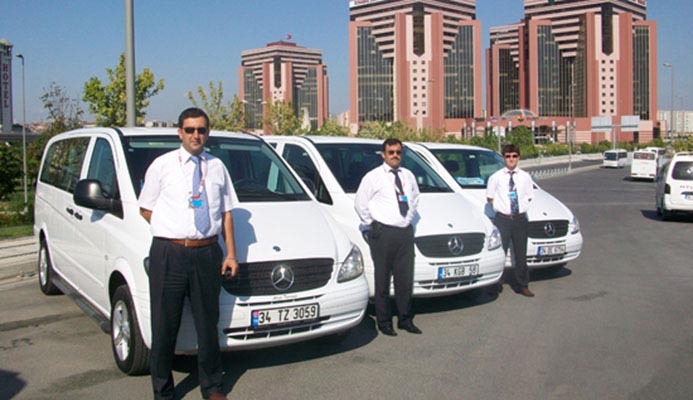 We also have full-time staff at the airport to greet you with EFENDI TRAVEL sign and accompany you to your private air-conditioned van. In addition to a comfortable ride to your destination, there are no hidden costs as you may encounter with airport taxis. Keeping this review to the point, it is now the second time that i have used Efendi travel. They are well organised and provided a safe journey for me and my family on both occasions. Usually a 7 seater vehicle with lots of space for luggage and extras. I would recommend paying in advice and listing how many people and bags so the correct vehicle can be sent. The drivers do not speak English that well, but to be honest the traveller is in safe hands as they have all the instructions to hand. 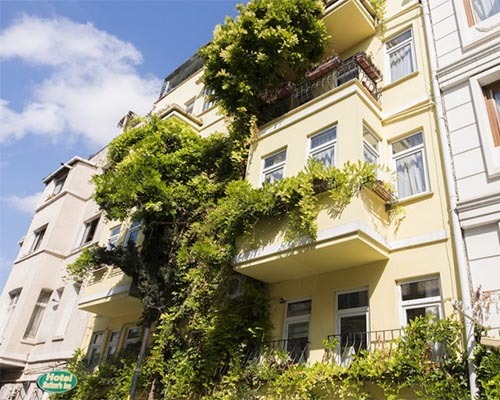 All in all a trusted team at Efendi and thats just not easy to find. We have been very happy to hear your satisfaction with our service. 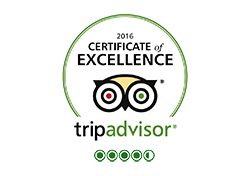 Kindly request you to share your ideas on our TripAdvisor page. Thank you for giving your time on this. Very impressed with the service. Staff responded very promptly to my queries and able to accommodate my changes. Driver was friendly and attempted to communicate with me via sign language and simple English. Very hassle-free transfer from airport to hotel. Highly recommended !! Really great service.. Will definitely recommend your service and will use your service again in future..Insya Allah.. Thank you so much! I booked it on the same day when I was supposed to be picked up, yet I had to call to make sure that they received my request. Responsible person answered within minutes and organized everything quickly.Vehicle was very comfortable and transfer from airport to hotel was perfect. Thank you very much again for your transfer service.Both Driver was very good and polite.I was very Happy and for next time again!!! 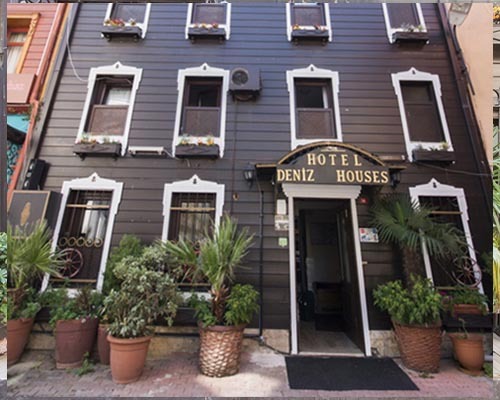 We decided to book Efendi for an airport transfer to our hotel. 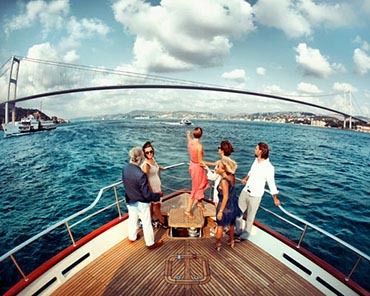 It was our first time in Istanbul and we were not staying for too long. So, we wanted to be able to get to hotel as soon as possible. The service was excellent. I'm glad we were able to pay the driver in Euros. The staff was friendly and helpful. Thank you, Efendi for the great service. We booked online, received a prompt confirmation. Both time I booked we were delayed on arrival (and processing through Immigration was extremely slow!) during night time until early in the morning, but both times staff was waiting in the arrival as promised, with clear signage. Drivers were friendly and good. Absolute value for money. We were also 2 times picked up at our hotel, 1 x to go to Ataturk Airport, the other time to go to the much further away Sabiha Gokcen Airport. Both times pick up and dropping off was perfect. Thank you to the team at Efendi! Very good transfer service from Mr Mehmet and his drivers. Very courteous, punctual and safe. Been using them on 3 separate occasions now and will use them again. Excellent shuttle service from and to the airport. Drivers are helpful, cars are very clean and they help with your luggage. I will use them again if I travel to Istanbul. Had a good experience. Pickups were timely and the drivers were very good. Was the best price that I could find online. I was travelling alone and it was my first trip to Istanbul. 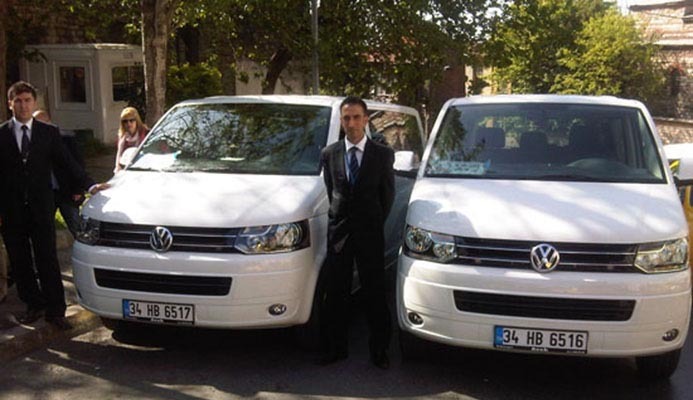 Dear Ahmet Bey: We were extremely pleased with your airport transfer service, which we both felt was most impressive. 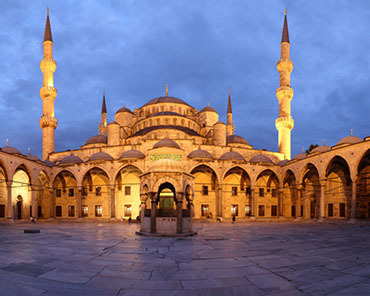 We’ve just got back from our trip to Istanbul and wanted to write to say how impressed we were by your transfer service that we used from Ataturk Airport to the Holiday Inn Istanbul City, and back. We arrived on February 25th and returned on February 28th. 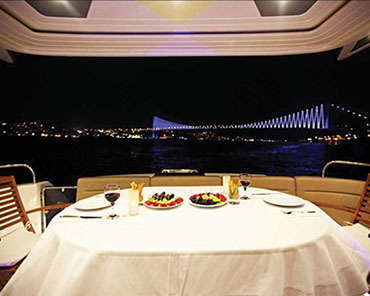 We have now travelled to Istanbul twice, once for a long four night weekend and the second time for a one night stopover en route to Africa. 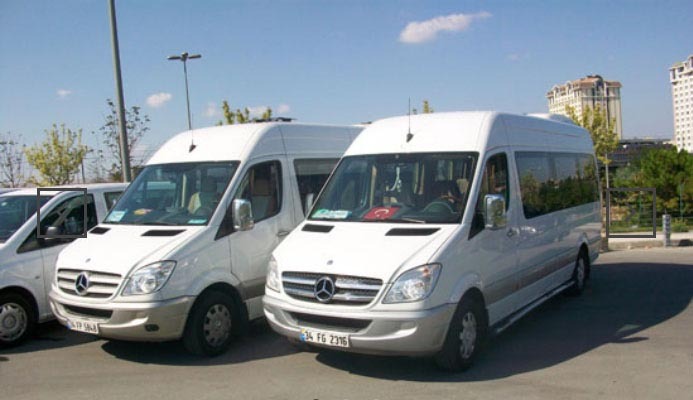 On both occasions we have used the service provided by Backpackers Travel for our transfer to and from Ataturk Airport and we have been very impressed by their service. 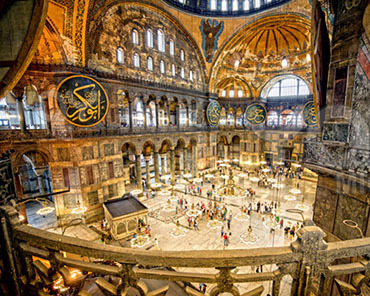 I used Efendi services 2x on a recent trip to Istanbul and was very pleased with the prompt email follow up confirmations and on time pickups. 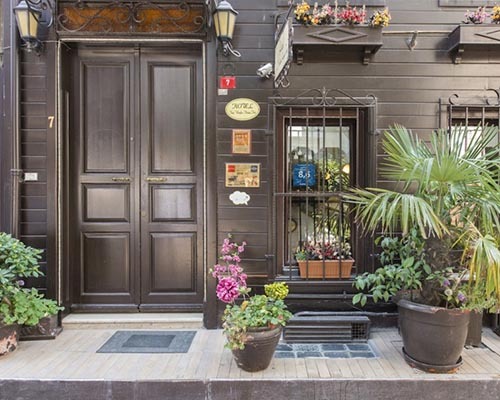 In the most recent case, Turkish Airlines permitted changing arrival airport from SAW to IST--and Efendi was able to accommodate the new pickup location with only 60 minutes of advance notice. 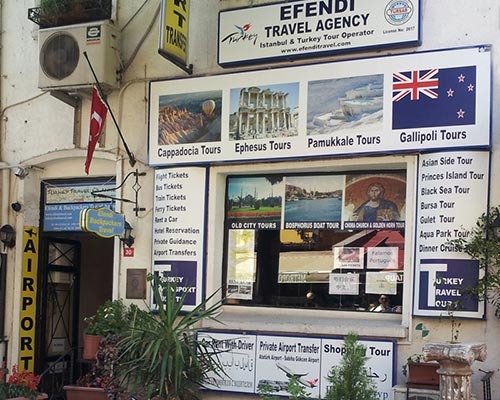 We chose Efendi Travel (Tours) in a round about way via TripAdvisor due to all the great reviews, but actually through an entirely different organization. We were not steered wrong. Although this was not a lengthy nor difficult job, we were pleased that they were friendly and professional. This was an airport transfer from the airport to our hotel in the Beyoglu area in Istanbul. We were traveling through Turkey for 3+ weeks and didn't want to deal with heavy luggage and transfers on busy public transportation. Efendi travel came through with no problems. We booked transfers for our group of 20 people and city tour. Managers were responding all questions immediately by email, prices for services was cheap. Drivers were ontime at the airport and hotel, buses are new and very comfortable, guide was very good. Totally 5* VIP service. Highly recommend it to everybody. Efendi travel was always quick and professional in their email response to me as I planned the trip. They listened to what I was saying and they came up with a plan to show our team the most of Istanbul. They were willing to accommodate any changes we wanted. They were going to pick us up at the airport with a sign, take us to our hotel, pick us up later for the tour, pick us up the next day for another tour, and then return us to the airport.